The Reedy Creek Landfill has been in operation since the late 1970’s, landfilling up to 150,000 tpa. With the need to develop greater landfill air-space to meet future landfill needs of the ever expanding Gold Coast region. 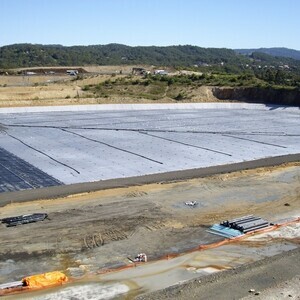 The Gold Coast City Council decided to convert an adjacent Council quarry, nearing the end of its operational life, to a landfill. 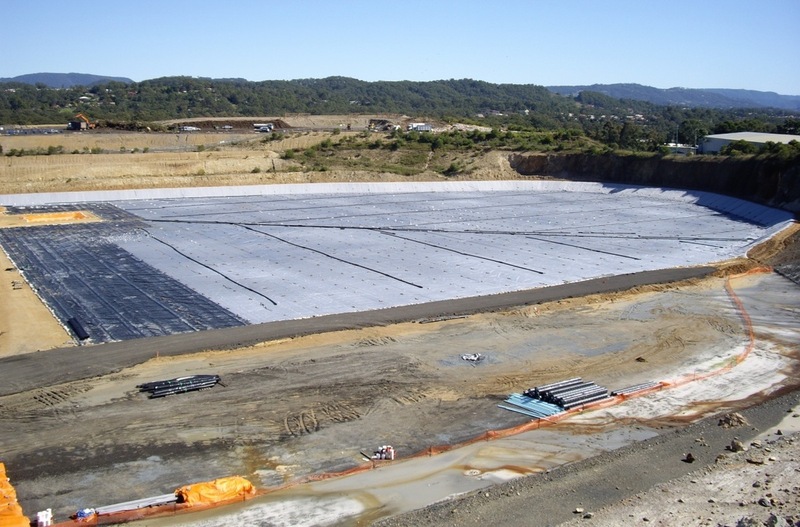 This development provided the opportunity to integrate the quarry-based landfill with the existing Reedy Creek landfill facility, to create a combined landform. We were engaged by the Council to provide engineering services for inclusion in a Material Change of Use Development Application (DA) for the expansion of the landfill into the quarry void. The DA was prepared and facilitated by Mark Rigby and Associates (MRA). We provided a staged concept base and final landform layouts, design of stormwater management and leachate management systems (including landfill liner systems), planning for proposed landfilling activities, and general waste management design. Groundwater investigations and modelling were undertaken to establish a floor level that would prevent future potential groundwater interaction. The quarry batters were excavated to fill the void and this approach generated additional air-space for waste but more importantly protected the groundwater and surface water from acid producing rock and future landfilling activities. This was managed (with support from Steve Dobos and Associates) by lime treatment which was incorporated into the design. We undertook detailed design of the Stage 1 Bulk Earthworks and Cell 1 Stage 1 Containment Construction. 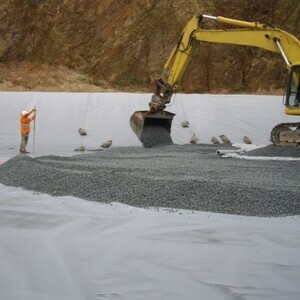 We also provided procurement assistance for the geosynthetics, leachate drainage aggregate, geomembrane installers and leachate collection pipes. We provided technical assistance throughout and undertook periodic inspections of the construction works, to ensure compliance and provide direction to Council on any technical issues. Assessment of leachate management options, including an integrated scheme combining leachate recirculation, on-site treatment and sewer discharge. Landfill gas risk assessment regarding migration towards adjacent properties. 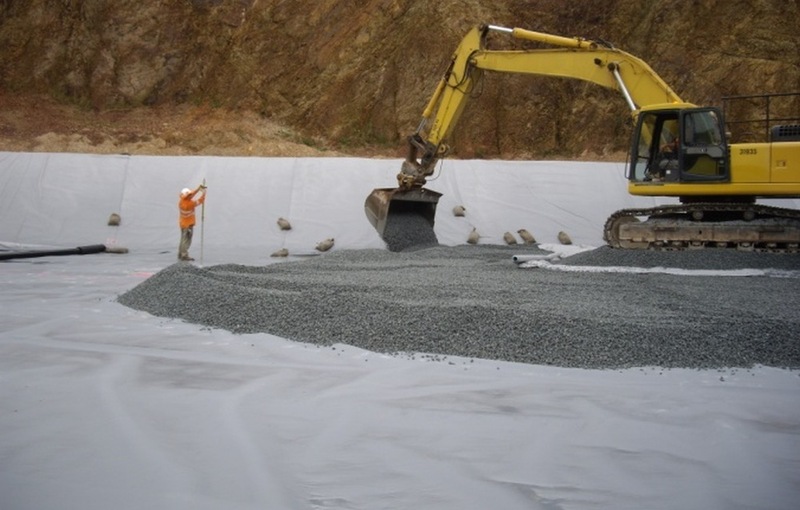 High level analyses of options for stormwater management, with a sequenced approach comprising a simple pond/batch treatment process utilising the remaining quarry void, followed by in-line flocculant dosing as landfill earthworks were completed and full-scale operation commenced. Risk assessment on using leachate for dust suppression and moisture conditioning, including potential for contaminant accumulation and migration to monitoring bores. Void space consumption, void space remaining and compaction ratio calculations, along with other Council landfill sites, based upon survey information, weighbridge information. Interim designs for short term void space remaining in the current stage of the landfill. Impact analysis from the proposed extension to the heavy rail line passing the southern boundary of the site. Groundwater monitoring bore installation and reporting in association with MRA. Runoff calculations and water supply volumes, available for dust suppression. Equivalency analysis for a number of side liner options based upon available fill materials from future site excavations. Stage 1 construction has been completed and the facility is operational.